In a seminar held at CERN today, the scientists presented the status of their searches for the Standard Model Higgs boson. 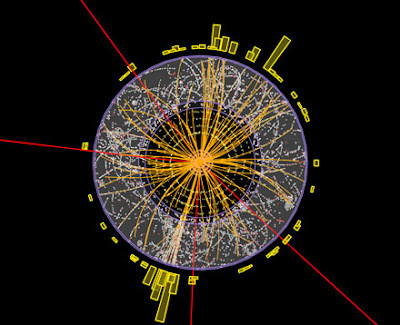 Their results are based on the analysis of considerably more data than those presented at the summer conferences, sufficient to make significant progress in the search for the Higgs boson, but not enough to make any conclusive statement on the existence or non-existence of the elusive Higgs. The main conclusion is that the Standard Model Higgs boson, if it exists, is most likely to have a mass constrained to the range 116-130 GeV by the ATLAS experiment, and 115-127 GeV by CMS. Tantalising hints have been seen by both experiments in this mass region, but these are not yet strong enough to claim a discovery.